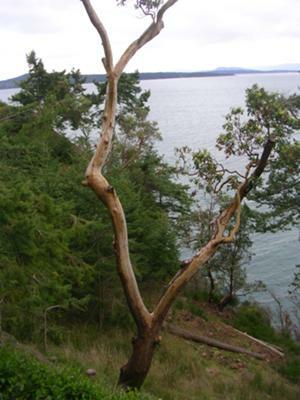 I recently visited Pender Island and saw some of these beautiful trees called Arbutus. I was told that they only grow in a very narrow strip in the southern coastal region of BC and the Gulf Islands. Does this beautiful tree grow in the area? I would also like to know how dfficult it would be to travel back and forth between Pender Island and the Sunshine Coast by ferry. I have family there and could stay with them until I am more familiar with the area and am able to find a place to live.